All accommodations are included in the program price. 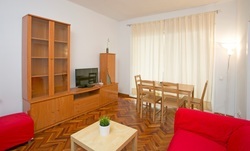 All rooms have internet access (although some might charge a minimal daily fee). Accommodations subject to change: In general, our goal is to stay at 3 star and 4 star accommodations in centrally located locations with easy access to metro and public transport (please see our additional notes above). More details are coming over the next couple weeks (as we finalize the reservations). For now, the links above should give you an idea about the types of places where we will be staying while we are out exploring these amazing cities!